According to Robert De Niro's character in Meet the Parents, "they say geniuses pick green." If that adage holds true, we imagine only a mad genius would choose a Viper Green Audi RS4 (a shade from Porsche's palette). A mad genius, in the absolute best sense of the words. Of course, we're no strangers to green Audis. Most recently we featured Jack Baruth's one-off Porsche green S5. Hell, we even devoted an entire post to the envious hue last St. Patrick's day. 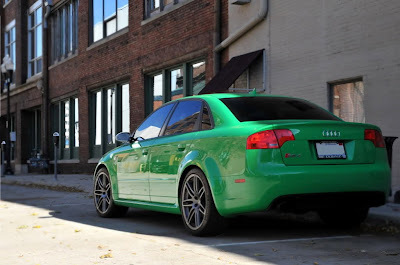 But we have never, ever, witnessed a green Audi quite as cool as this one. And for good reason I guess, since this is the only Viper Green B7 Audi RS4 in existence. Now, due to the owner's impending relocation to Germany, this rarity can be yours. 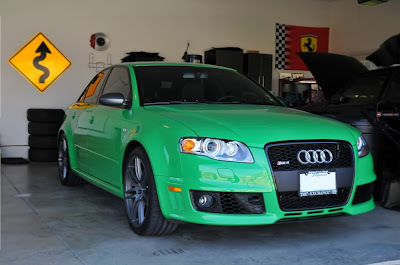 After reading the original listing on Teamspeed, we immediately contacted the RS4's owner, Derik, for more background on the car. 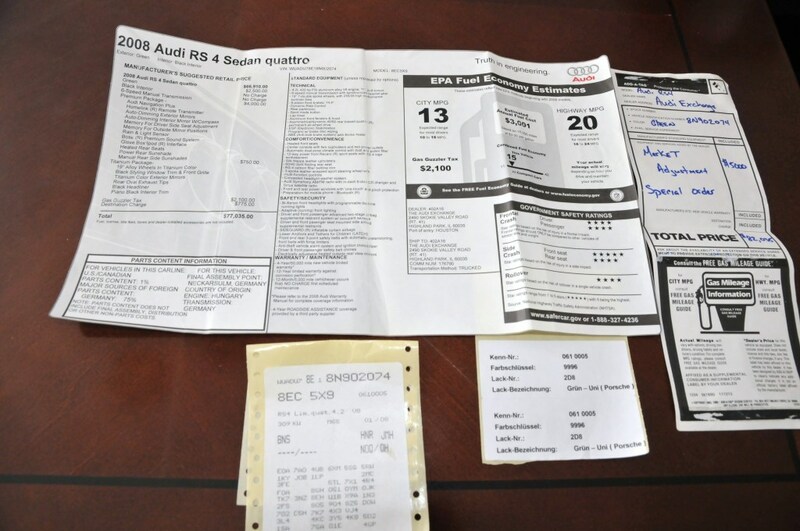 Luckily for us, Derik is our kind of guy; a long time Audi owner, with great taste in four-ringed rides. 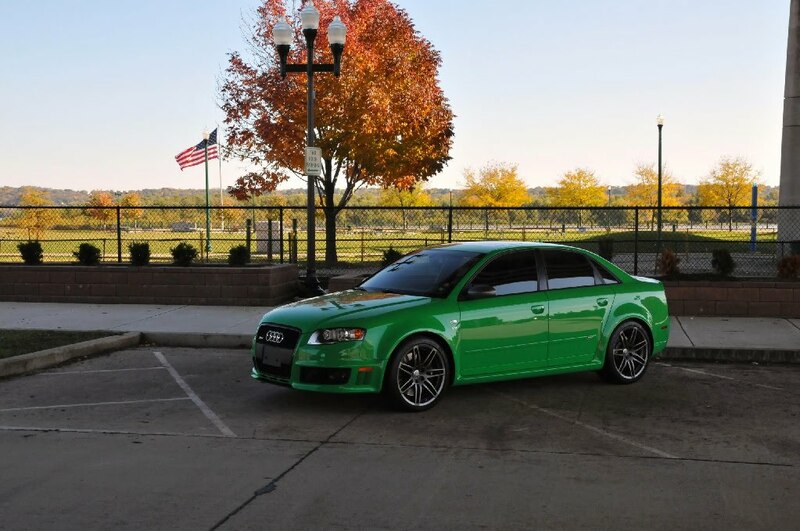 In his own words, here's how Derik came to own this RS4. 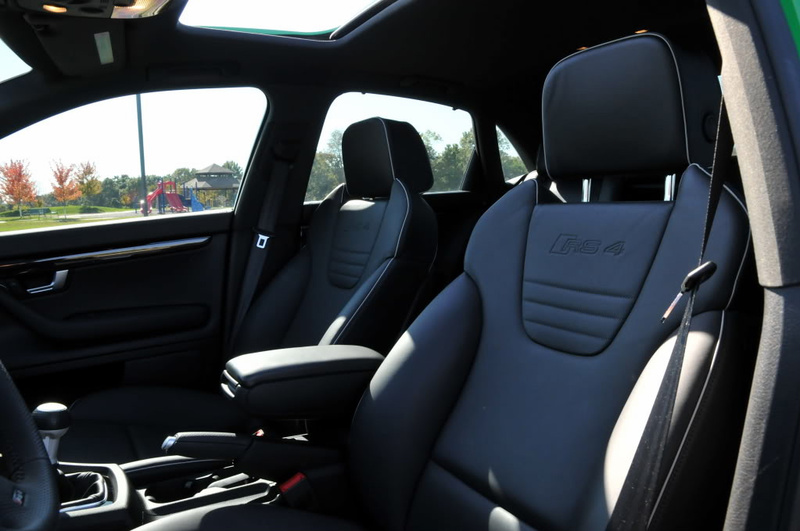 "After being a long time Audi fan and owner of various coupes and 5000 quattro models, we decided to go to Chicago on our search for an RS4. Upon our arrival to The Audi Exchange, we found a multitude of color choices at the time. Red, white, black, orange, and Viper Green. The said model was sitting on the showroom floor. We were told by the salesman that the car was owned by the owner of the dealership (who also owns The Porsche Exchange). It seems he has ordered the car from the factory in Viper Green (exclusive) because he was also ordering a Viper Green GT3RS Porsche for his daughter. The car had 50 miles on it, so it had had hardly been driven. 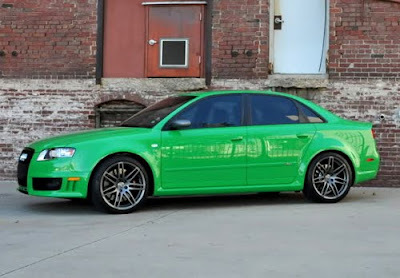 The reason for him selling the car is that he was frustrated that Audi would not honor his request of installing green piping on the seats. We were quick to purchase the car since it was quite unique." "International relocation to Germany forces sale. Only B7 RS4 Viper Green (Porsche GT3RS) exclusive factory paint in the world. Very low 8800 miles. All original except, window tint, and clear bra. No accidents or stories. Still smells new. All documentation, books, keys, touch up paint, including build sheet (see pic). Never seen ANY foul weather. Warranty until 3/31/2012 or 50k miles. Has CPO until 3/31/2014 or 100k but have been told will not transfer to new owner. Please feel free to call, e-mail, or send PM for additional questions. Thanks for looking. $54,900." If you're interested, please contact Derik via his contact details listed at Teamspeed. Or, contact us and we'll forward the message.